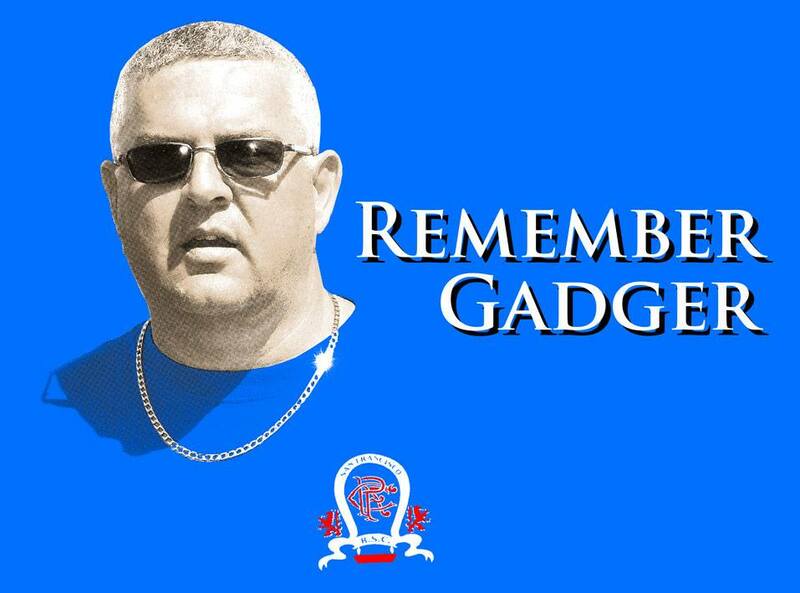 10 years since we lost Gadger, a big loss. Doesn't seem that long.Cracking big guy. You don’t forget legends and him and Winkie were Rangers Supporting legends. I only knew him through his posts on here but he seemed a great person. Where did those 10 years go? I honestly thought it was only 2-3 years ago. Don't think he had missed a Rangers game in about 30 years. There are still times and places I somehow expect to see him. Jesus, can’t believe that it has been ten years. First time I met him o was a wee boy and I thought he was the coolest guy ever! Aye, a mountain of a man in more ways than one. Used to love the abuse his dished out to opposing fans. Feart of no one and it led to some comical happenings. Can't believe it's a decade either. I mind his wee grandson that used to run about at the games at Auchenhowie too who he doted on. He'll be about 15 now too! 10 years...some man,great supporter of our team. 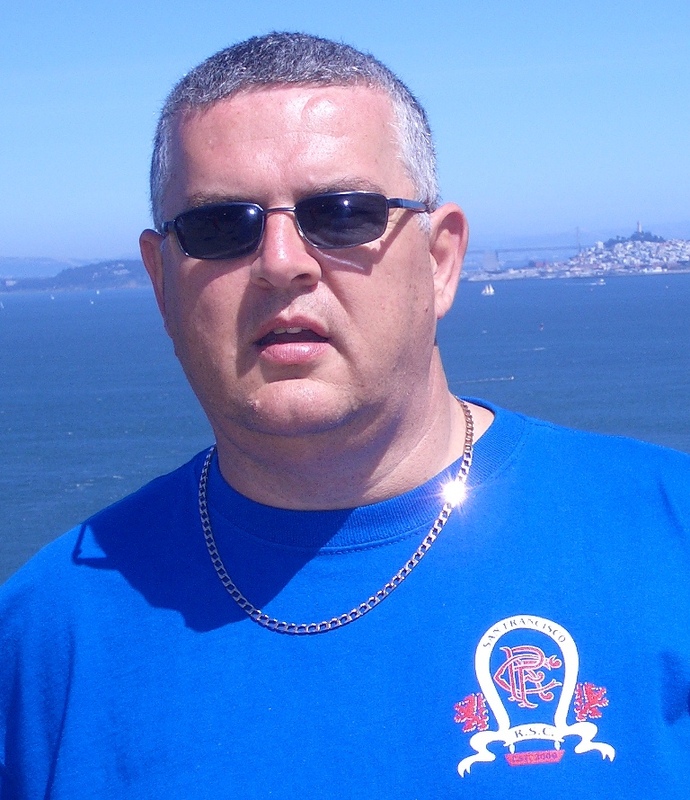 Garry was an absolute gentleman and as big a bluenose as you will ever meet. 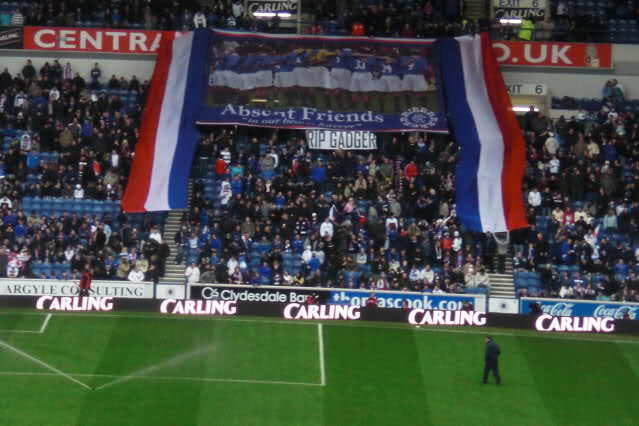 A sad loss to the Rangers family, hard to believe it was 10 years ago. He kindly sent me a PM with Gordon in the TO direct line when I was struggling to get some tickets sorted out from overseas and was on a general thread. Always regarded him as a true gentleman. Some turnout at the funeral. Hundreds outside at the crematorium listening on the PA. I think Gary had one Celtic share to allow him to attend their AGM.and listen to the dross. That was until his face became known on the internet. Remember him & Gordon way back when the reserve league west was on the go. Any reserve/youth game i attended they were there. Went with him on a few Euro trips. Great time had and never a dull moment. First met him in the early seventies, when he was a bouncer at The White Elephant disco in Sauchiehall Sreet. A great guy indeed. Sad sad day when he passed, can't belive it was ten years ago. His kids carry the tradition on admirably. I’ve an ambition to fit a filter to Angie or a time delay just so she has a wee pause before she speaks – probably won’t help mind you! God rest him, and all the other members of The RANGERS family who have passed not knowing the danger their football team was in. Never met the man. R.I.P fellow bear. Met him on many a Euro trip. Heading to Leverkusen on the ferry from Newcastle he fairly shifted with the dance moves, his daughter was always there or nearby. He was a total credit to the club and one of the loudest Bears I’ve ever heard at games. A trueblue Rangers man. That was in response to a thread I started on here asking what your first Rangers TV game was. It was shortly before he passed away. I still miss him bellowing from about 6 rows behind me in CR2, Angela gives him a run for his money though. Sleep well Garry. No matter where The Gers took to the field you would hear that voice. Great days listening to Gadger holding court in a pub in some far corner of Europe in the 70's and 80's. Never met the man but I remember the positivity surrounding him on here when the news broke. Unreal that it was 10 years ago. I remember his username very well, class poster. Wow that’s a quick ten years. Rest easy Gadger. Didn’t know him personally but was a well known face and poster on here when I started going to games home and away and in Europe. Sure his boy and daughter went to the games also. Makes me feel old and I’m only 28. The biggest blue nose I've ever known. Simply the best. Football forums were better then yappydug and many other brightened up the place. Correct , big man was a legend. Hard to imagine that was 10 years ago I remember it being announced on the old board. Am I right in thinking he had recently became an admin on here? Also speaks volumes for the man that he has(or had not sure if it's still there) a memorial trophy in his name in the Ibrox trophy room. Crapa/Lloyd , another great guy gone too soon. Used to rub some folk up the wrong way on here but done loads of folk a real turn.